Tafadzwa joined PER Group from Sesani Pvt Ltd, and currently retains his shareholding and non-executive Director role in Sesani. Tafadzwa possesses broad expertise and leadership credentials in delivering Infrastructure projects, he has deep knowledge of the infrastructure and Energy markets in southern Africa. He holds an MSc Laws degree from Scotland and an MBA in Construction from Reading University. 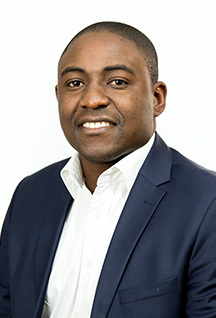 Tafadzwa spent 10 years in a variety of project delivery roles in Mozambique, the United Kingdom and Mauritius. Tafadzwa is a Chartered member of the Royal Institute of Chartered Surveyors, Chartered institute of Building and the South African Council for Construction Project Management Professionals.